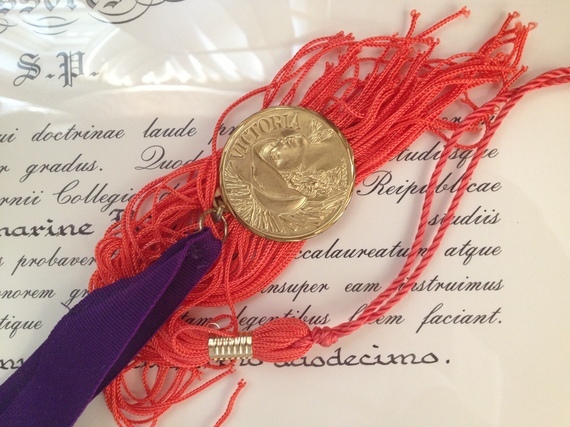 A little over four years ago, in one of my last articles for Holy Cross' student newspaper, The Crusader, I offered a reflection -- a "graduation message", if you will -- for my fellow Crusaders, the class of 2011. Inspired by graduation season, I recently reread it and was reminded of how much my life has changed since then. Now four years into the "real" and working world, long gone are the "all-nighters", the month-long vacations and the clearly defined sense of purpose that studying provides. "I have come to learn and to believe that in every met expectation and unforeseen surprise, every accomplishment and failure, in every loss and gain, every victory and defeat, in every mistake and intention, and in every realized dream and unfulfilled hope, there is always a lesson -- always an opportunity to learn something about yourself or about life, and always something to take away and remember for the future. Sometimes, as I have come to learn, the lesson stares us square in the face, other times it is more obscure and requires a bit more awareness and faith. But, if anything, I have come to learn that it is always there, waiting to be discovered and acknowledged." I still believe this to be true. I might add, however, that it is equally important to remember that life is a continual process of growth and discovery -- and that the moment we think we have "figured it all out" or learned all our lessons is typically when life will remind us, with a gentle touch or forceful push, that much remains for us to learn. 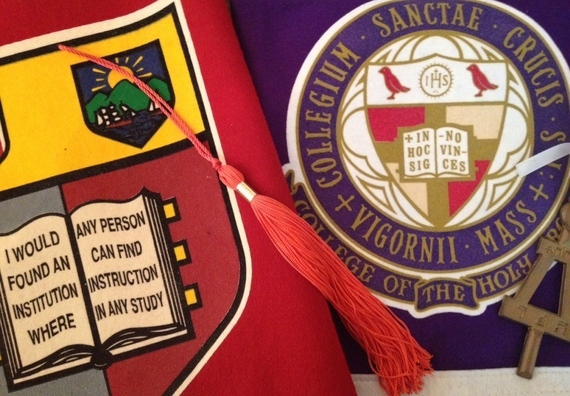 My friend and I used to joke throughout our four years at Holy Cross that "one day everything will be ok." It became our secret six-word mantra the two of us shared, helping us to cope with the endless pressure and stress of an intense academic environment, not to mention our sometimes challenging social dilemmas. Little did we know how mistaken we were -- not in our youthful optimistic attitude, but in our naive belief that once we graduated and settled into a job, once we "made it on our own," all would be right with the world, our fear and anxiety dissipating into eternal contentment. In fact, it was a little over a year ago while talking on the phone that we laughed at our "six letter phrase" and agreed that while some days can feel like that "aha" moment, there will always be days that leave one feeling troubled and ill at ease. But, it's not that I don't think we can ever find peace, joy or contentment. On the contrary, I think that the realization and acceptance of life as a journey -- as something that we can never fully understand, master or even control -- may actually be the first important step toward finding those very things. As easy as it is for us to convince ourselves that "once I get to this point..." or "if only I could..." or "maybe if I do this..." then "everything will be ok", it is a dangerous, crippling mentality and perpetual cycle of thought that prevents us from fully realizing that happiness is not some outside force that comes to us, but is, rather, something we must create and choose for ourselves. Our focus, then, should not be on trying to "figure it all out." It should be on finding ways to be more accepting of the place we are currently in -- and looking for lessons that we can call upon for guidance in the future. There are certainly days (weeks, months, maybe even years) when everything just seems right, when things have fallen into place and are running seamlessly. But, not all days are going to be like that. Nor should we expect them to. And that's ok.
You will likely be met with challenges you may have expected, and those that you could never have anticipated - and while you will be able to successfully navigate some on your own, others will likely require the guidance and perspective of a loving parent or friend. But, instead of looking at these as obstacles -- as something you have to suffer through in order to be "ok" -- relish them. Accept them. Embrace them. And...learn from them. Only then can we realize and accept that we are the arbiters of our life and our contentment, and that everything can be ok right now if we allow it to be. This post originally appeared on Katharine's blog All Things Good. Follow All Things Good on Facebook and Twitter.